Contractual agreements are a necessary part of operating a business. Without contracts, there would be no way to prove liability – owners, partners, and shareholders all need security when maintaining a company so that they don’t suffer future consequences as the result of another party’s negligence or ill intent. Everybody in the business world has something to lose and gain, so it pays to be careful. Not all disagreements related to contracts and agreements need to be resolved by filing a lawsuit. Dissolution might not even be the best answer, and if you can resolve a problem by discussion rather than leaving it up to the court, you could find that the resolution is more mutually beneficial than either disputing party previously believed. It would be a shame if your company was liquidated when it could have continued on to make further profits. Contract negotiation is another service offered by business lawyers, and it is highly recommended that assistance be acquired before approaching a tense discussion about important business matters on which you and your partners or fellow shareholders do not currently agree. At Turner Law Offices, P.C., we’ve seen contract disputes arise in a variety of circumstances from countless types of businesses. 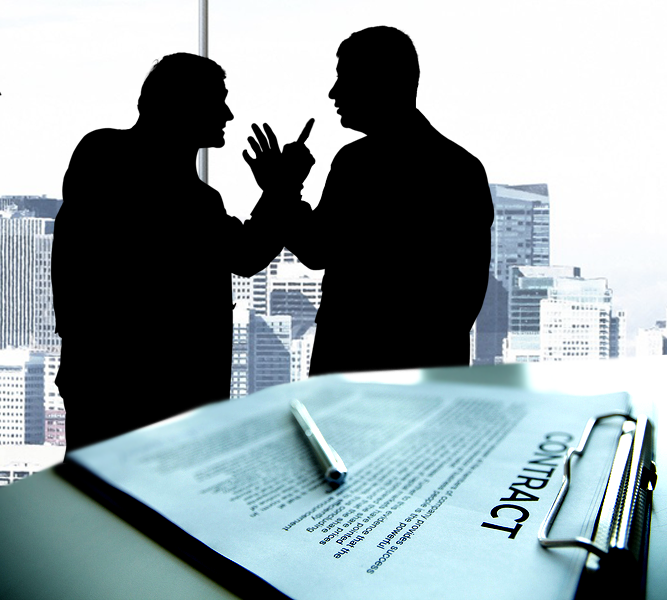 Contract disputes are a relevant concern for both small companies and large corporations. If tensions are high between yourself and others involved with running a business, then you should certainly seek the help of an experienced business attorney. Our team is ready and waiting to hear your case, and to do whatever it takes to ensure that a satisfactory resolution is achieved. Call today, or go online to set up your Free Initial Consultation. Whether you’re in the midst of a conflict or simply want to take measures toward preventing one, we can help.